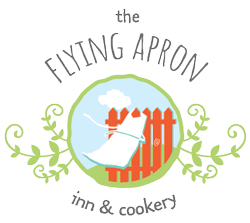 Ring in 2019 with a New Year’s Eve Kitchen Party at The Flying Apron! Hants County Songbird Terra Spencer will be releasing her new album Other People’s Lives. Includes Flying Apron appetizers, seafood chowder & desserts, and bubbly & sparklers at midnight! Bring your instrument for a jam session. Limited Seating. Reservations Required. Call 902-633-2300 to Book your Seats. Credit card confirmation required at time of booking. Cancellation policy = 7 days prior to the event.